I help people and businesses to realise their potential: acting as an advisor; coach; facilitator; and project director. I have a broad global portfolio from working at all levels across a range of industries: development /3rd sector; energy; finance; government/public sector; information; knowledge management; law; leisure; retail; and software. 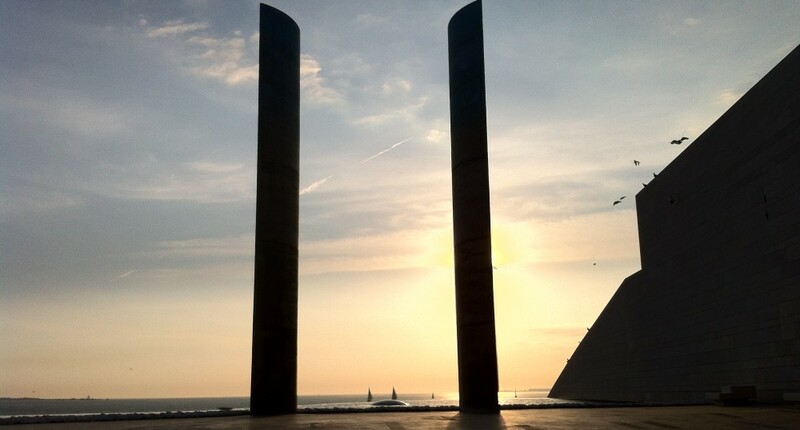 My early background was financial yet eclectic: I spent 25 years in the City as a Senior Manager Corporate Finance at Saudi International Bank and as a Vice President at Zurich Reinsurance. Since 1998 I’ve run a portfolio of activities: Strategy & Business Advisor to the CEO of software and consultancy group Sopheon PLC; Advisor to the CEO of a leading reinsurance broker BMS Group; and Managing Partner Sparknow LLP. I have helped growing young businesses think about their future strategic direction and ‘selling’ that vision and indeed their exit strategies. Examples include: Ellipsiis Media (now dotdigital); Le Magasin Lewes, Logicamentes in Portugal and an embryonic energy storage business. I have in addition conducted due diligence for a venture capital group on potential acquisitions. I was Executive Chairman of Pyecombe Golf Club for 3 years creating a team ethos and a strategic direction based upon effective engagement. I have also managed a football club Hassocks Football Club. Diplomacy intrigues me. I am a member of the Royal Institute for International Affairs (Chatham House) and for 15 years, the Institute of Directors. Today I combine pro bono activities (a founding Trustee of UK charity Plan Zheroes) with paid consultancy work, teaching and coaching. I am the founding Finance & Governance Partner of Bees Homes LLP and Bees Homes FInancial Services LLP. As property matchmakers, “taking the sting out of buying and selling property”, we cover the 5 stages of property transactions: Value>Stage>Negotiate>Finance>Complete. 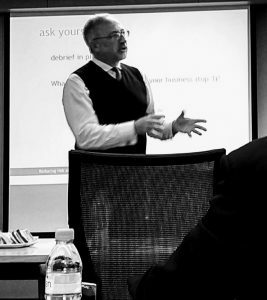 A member of the Faculty at Brighton University teaching on their Knowledge & Innovation Management MBA I also sit on the BSI KM Standards Committee providing the UK’s response to International Standards Organisation’s (ISO) emerging KM Standards. I am on the Executive Advisory Board of SocialNow, a unique event that looks at how social media impacts business. 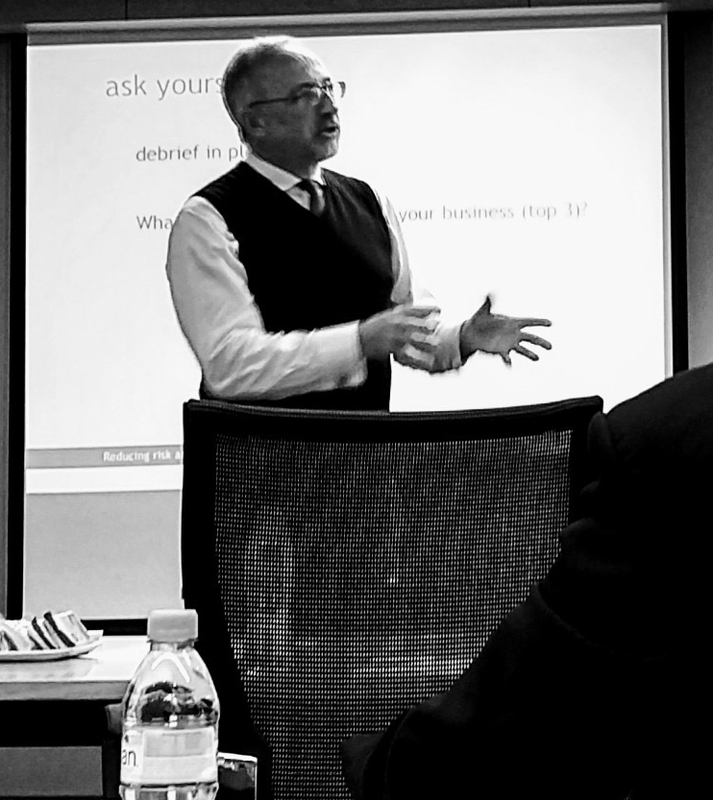 I regularly speak at and chair international events and run masterclasses. In February 2017 I went on a mission to Sudan where working alongside the Sudanese Knowledge Society I gave speeches, ran workshops, a masterclass and a reverse brainstorm sesssion as part of “Managing Knowledge in a Connected World” week sponsored in part by The World Bank Group and University of Khartoum. In 2017 I also presented at KM Legal Europe, KMUK, KM Asia and ran masterclasses at International Islamic University Malaysia in Kuala Lumpur “Working Smarter in a Knowledge World: Why space matters for Collaboration, Innovation and Knowledge Transfer.” & “Equipping today’s Knowledge Manager for tomorrow”. In 2018 I will be giving the keynote at Legal Week / The American Lawyer’s Strategic Technology Forum in Italy, running Masterclasses in London, Lisbon and Kuala Lumpur, and speaking at KM Summit, and KM Asia. 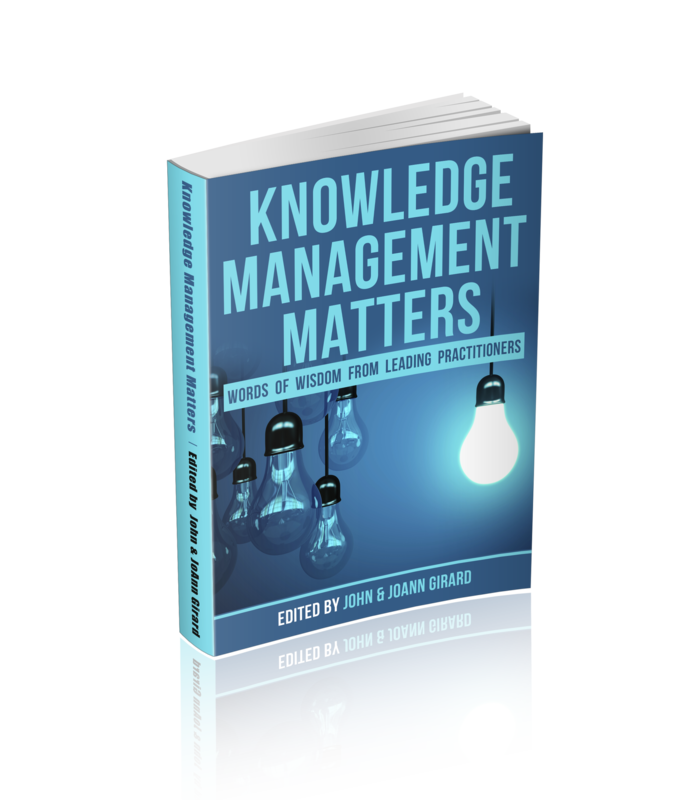 Apart from this blog, I am published by Business Information Review and Inside Knowledge Magazine who include me as one of the KM thought leaders. 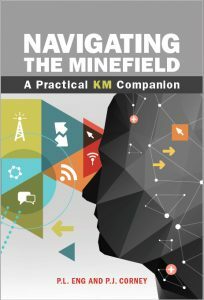 In conjunction with Patricia Eng (former KM Head of US Nuclear Regulary Authority) I completed a book on ‘Navigating the Minefield: A Practical KM Companion‘ published Q2 2017 by American Society for Quality. 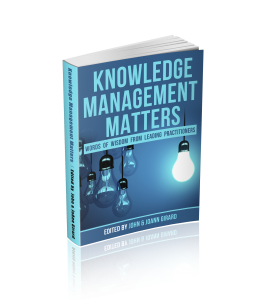 In 2018 I am one of the co-authors of “Knowledge Management Matters: Words of Wisdom from Leading Practitioners” . I was interviewed as an Expert Panellist by the Founder of FindTheEdge.com and published a post on the effective use of workspace. And Knowman from Portugal interviewed me about the importance of using narrative techniques to help change organisations. Here’s the interview translated.